Here’s another super product from Saturday Skin, that fantastic Korean skincare company that brought us Daily Dew. Freeze Frame is a moisturizing beauty essence which is a lightweight, gel-like liquid loaded with Saturday Skin’s proprietary natural peptide formula and an added bonus of pomegranate extract. This magic combination promotes your skin’s natural regeneration process, infusing it with moisture, elasticity, and firmness. It’s applied after cleansing and after the Daily Dew by warming a couple of drops between your fingers, then gently patting it into your skin until its absorbed. Note that since it’s so lightweight, it doesn’t take very long to be completely absorbed, leaving your skin silky smooth with a mild, pleasant scent. Plus it’s free of parabens, sulfates, synthetic fragrances and synthetic colors. Just like Daily Dew, Freeze Frame comes in that cute signature cotton candy pink bottle with a silver cap that we love. 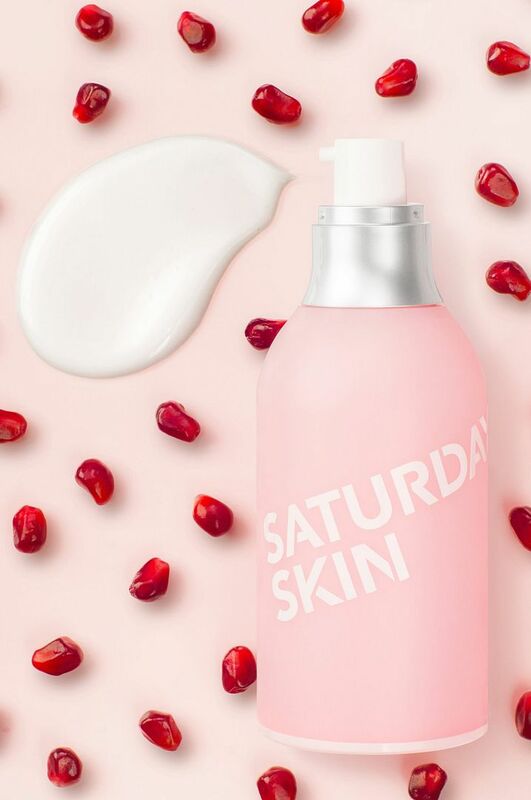 As they say, make everyday a Saturday with Freeze Frame from our friends at Saturday Skin!